Colombo is the largest city and commercial capital of Sri Lanka. Located on the west coast, it is a busy and vibrant city with a mixture of modern life and colonial buildings and ruins. Colombo has wildly varying architecture that span centuries and depict various styles. Many colonial buildings influenced by the Portuguese, Dutch and British exist alongside structures built in Buddhist, Hindu, Islamic, Indian and Contemporary architectural styles. No other place is this more evident in the heart of the city the Fort area. Colombo also boasts many shopping malls and department stores that offer brand name clothing at highly discounted prices. Therefore, it has become an important shopping destination among tourist. Lying amidst the hills, Kandy is the last capital of the ancient kings of Sri Lanka. While being the second largest city in Sri Lanka it is also famous for its immense beauty and is named as one of the seven UNESCO declared World Heritage sites in the country. With its luxuriant prairie, picturesque lake, Longest River of the country and misty mountains, Kandy successfully mesmerizes every visitor unsurprisingly. Heavily jeweled with a rich and colorful history is witnessed through the numerous shrines and temples as well as frescoes, ancient paintings and stone carvings. Kandy Full City Tour (without Entrance) (Should be sold with full package): City Tour: Enroute to kandy , you can visit one of the most important tourist attractions in Sri Lanka, the Pinnawela Elephant Orphanage. Volunteers and caretakers provide shelter and take care of orphaned, abandoned and injured elephants within the park. You can watch caretakers feed, bathe and help these gentle giants. You want walk with the herd to the nearby river to watch the elephants bathe and play around in water. Your next visit will be to the Peradeniya Botanical Gardens which is a paradise for nature lovers. This beautiful flower Eden is restored with over 300 different varieties of orchids, other spices, medicinal plants and Palm trees. Every year more than 1.2 million people are enchanted by the beauty of these 147 acre flower gardens. Start your journey from one of the world heritages as well as a sacred place for the Buddhists all over the world; namely the Temple of tooth Relic known to the Sri Lankans as Dalada Maligawa. The real evidence of the richness will be affirmed by your visit to the Gem Museum. Sri Lanka produces the finest quality of gems in the world. Semi-precious gems, the sapphires of Sri Lanka, which are very exclusive and comes in shades of blue, red, green, white etc. After your journey you will drop to Hotel safely. Nuwara Eliya (City of Lights), blessed with salubrious climate, breathtaking views of valleys, meadows, mountains and greenery; Surrounded by hills and tea plantations, the town of Nuwara Eliya enjoys spring-like weather throughout the year. It is also known as “‘Little England” which was the favorite hill station of the British who tried to create Nuwara Eliya into a typical English Village. The old brick Post office, country house like hill club with its hunting pictures, trophies and strict formal dinner attire; the 18 hole golf course, horse race course, etc., all remind you of ‘England”. Nuwara eliya full City Tour (without Entrance) (Should be sold with full package): City tour: During the city tour in Nuwara Eliya you will visit the main attractions of the town which include visit a working tea factory where the slow-growing tea bushes of this highland region produce some of the world’s finest Orange Pekoe tea. You can also add Seetha Eliya and Haggala Gardens. Seetha Eliya is a temple which was mentioned in the famous epic Ramayana. Haggala is a temperate hill-country garden where languid low-country lotus and water lily float in their serene loveliness. 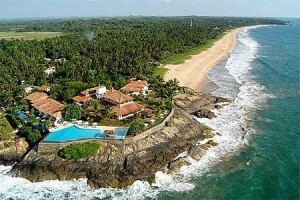 Bentota full Sightseeing (without Entrance) (Should be sold with full package): City tour: On your city tour you will enjoy a boat ride along the Madhu River. It is a scenic tour relaxing and interesting while passing many islets forested with mangroves and experience the natural rhythms as well. Then visit to turtle Hatchery which give unforgettable experience. The Turtle Hatchery is the prime turtle nesting site which was open by the Wild life Protection Society in 1981. Here you can see huge tanks filled with new born turtle hatchlings. After being fed, the baby turtles are taken to the sea and released when they are 2-4 days old, usually during the safer hours of darkness. After your journey you will drop to Hotel safely. Colombo full City Tour (without Entrance) (Should be sold with full package): City Tour: While on your city tour in Colombo you may visit famous places including Galle Face Green, the Viharamahadevi Park, National Museum, Twin World Trade Center towers, Old Parliament Building, Fort district, Independence Hall at Independence Square, and prominent Buddhist, Hindu, Islam and Christian places of worship. (Entrance fees to sites not included). For shopping, you may visit Odel, House of Fashion, Beverly Street, Majestic City, Noritake, etc. Free at town until pickup time, transfer to airport for home bound flight. Entry visa fees, Please visit www.eta.gov.lk for more details. Once the booking is reconfirmed 100% cancellation will be charged if cancelled less than 90 days prior to arrival. Once the booking is reconfirmed 20% cancellation will be charged if cancelled between 30 to 90 Days. If booking is done less than 30 days from arrival or less, immediate reconfirmation will be required to secure the booking. Booking cannot be guaranteed until it is reconfirmed. Please note that if the booking is in the cancellation period(within 30 days from arrival) after confirmation if there is any cancellations the penalties will be applied.